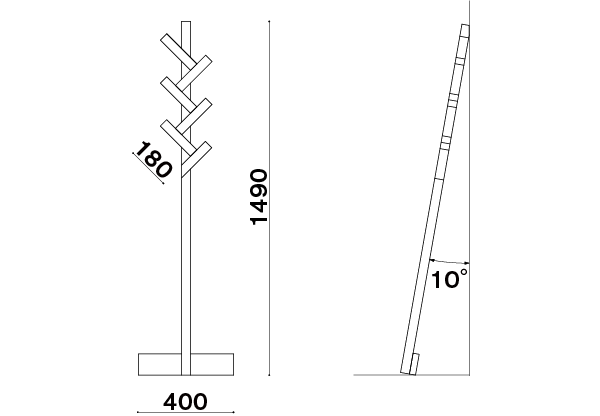 A coat stand that is supported against the wall. 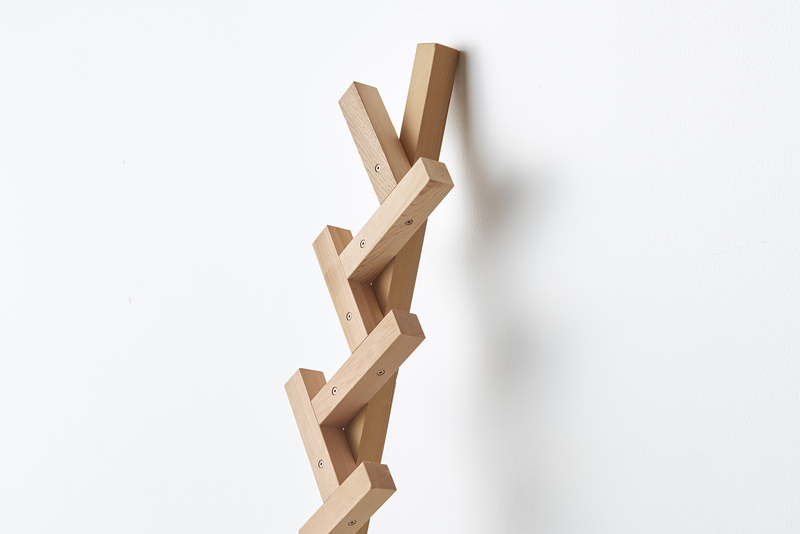 Its lightness enables it to be moved around with ease. 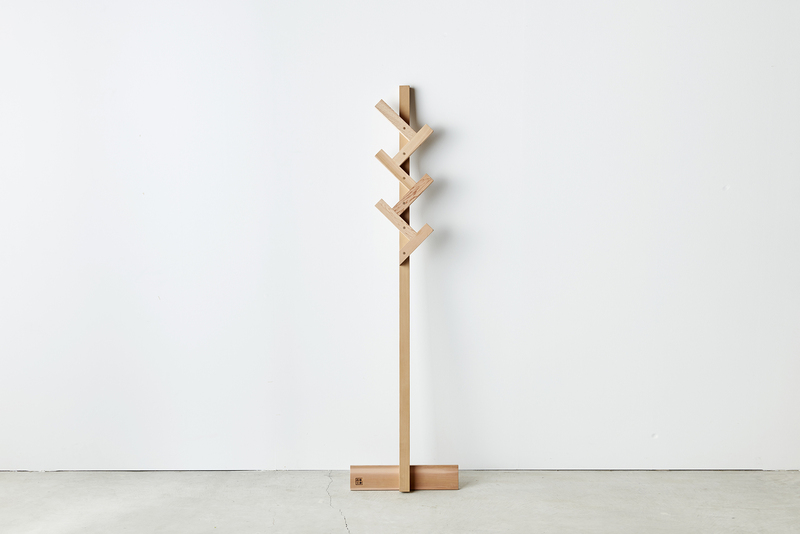 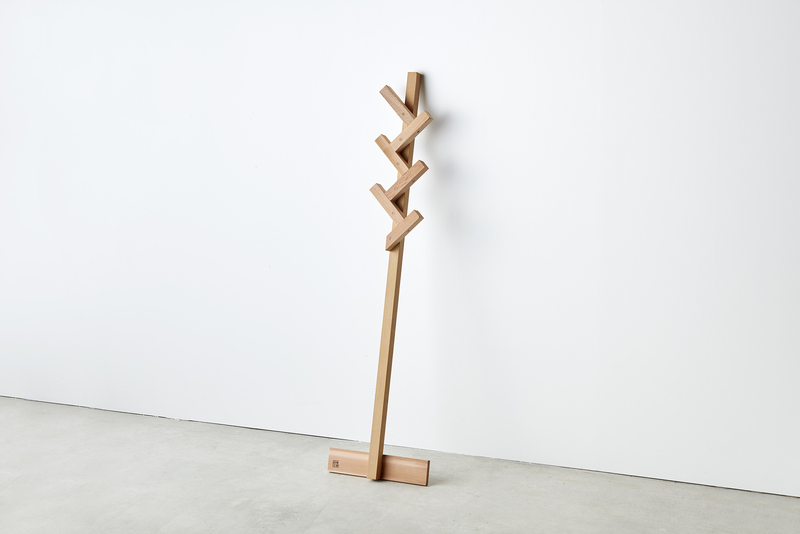 Designed with a structure that consists of 2x2 cedar, the base of the coat stand is bolstered with a 1x4 to make it more stable.